By Mike Jackson, the Software Sustainability Institute. 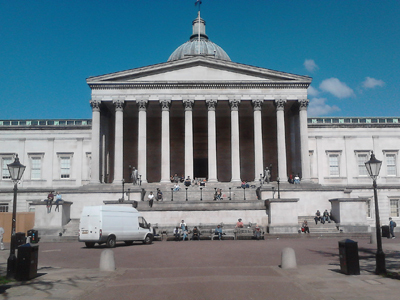 On Monday and Tuesday this week, members of the Software Sustainability Institute joined over 40 scientists for a Software Carpentry boot camp at University College London. Software Carpentry aims to teach scientists how to quickly build the high-quality software they need, and so maximise the impact of their research. The format is a workshop, or boot camp, followed by 4-8 weeks of self-paced online instruction. Greg Wilson, the creator of Software Carpentry, introduced the concepts of good programming, using Python, relational databases and testing. Chris Cannam of Queen Mary University of London gave an introduction to version control using EasyMercurial. The boot camp was not intended to teach specific technologies, but instead teach development practices to help scientists rapidly develop high-quality software. Instead of just stating "these are good because software developers say they are", each practice was justified with reference to individual and group psychology and empirical studies on how software development works. My colleague, Neil Chue Hong, has covered the good and bad points of the bootcamp over on the Software Carpentry blog, and there will be further feedback as participants attend the online follow-up sessions. Now that we've seen how a boot camp is run, the Software Sustainability Institute will help to deliver the next UK boot camp on 14-15 May in Newcastle. Further boot camps are planned for later in the year at locations across the UK. Keep tuned to our blog and the Software Carpentry website for updates.